Constructed of 1" round steel tube. Comes with mesh liner kit. Powder coated blue for tough surface protection. Larger 8" all terrian wheels with directional swivels allow for outside use. 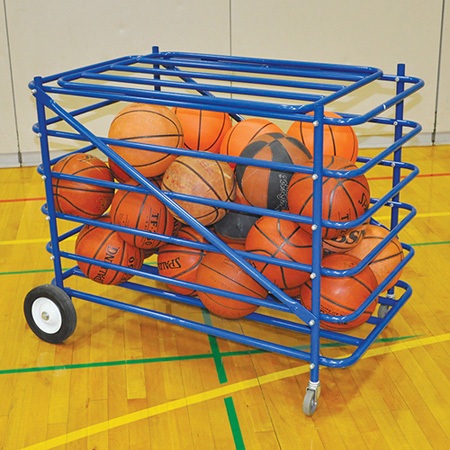 Stores up to 28 basketballs. Hamper liner makes for excellent storage for towels or uniforms. This unit is lockable with customer supplied lock.